On Monday, ProPublica published a map showing where IRS audits are most concentrated. The South stood out. The reason, we explained, was because of an intense focus at the IRS on auditing recipients of the earned income tax credit. The EITC is one of the country’s largest antipoverty programs, in the form of a tax refund for low-income workers, especially those with children. The typical EITC recipient earns less than $20,000 per year. In practice, the IRS’ emphasis on EITC recipients means states with concentrations of low-income workers see the highest audit rates. One of those states is Alabama. 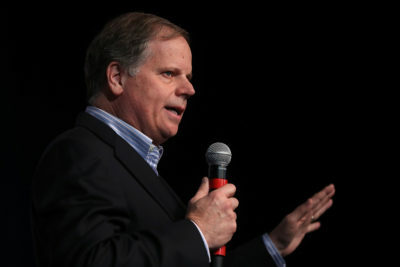 Sen. Doug Jones, D-Ala., wasn’t pleased. The map, which stemmed from a study by Kim M. Bloomquist, formerly a senior economist in the IRS’ research office, showed that the highest audit rates were to be found in rural, mostly African American counties in the South. Among states, Alabama had the fifth highest audit rate in the country, behind Mississippi, Georgia, Louisiana and Florida. “In an effort to focus its resources and ensure fair treatment of all taxpayers, I believe the IRS should undertake a full and thorough review of the policies and practices that led to such a disparate geographic impact of its annual audits,” Jones wrote. He ended his letter with a number of questions about IRS audit policies. As we explained in December, Republicans in Congress have pressured the IRS since the 1990s to prevent payments of the credit to people who aren’t eligible for it. Meanwhile, critics, some within the IRS, such as Taxpayer Advocate Nina Olson, have long criticized the focus on EITC audits as disproportionate, especially since IRS studies show that far more revenue is lost through cheating by those higher up the income scale. Furthermore, in recent years, budget cuts have hampered the IRS’ ability to pursue wealthy taxpayers, while audits of EITC recipients, which are largely automated, have been slower to decline. The result is an increasingly unequal mix of audits. Lawmakers will have an opportunity to ask Rettig about the IRS’ audit choices in a hearing next Wednesday before the Senate Finance Committee. “There are two tax codes in America, and there are also two enforcement regimes,” said Sen. Ron Wyden, D-Ore., the committee’s ranking member. “It takes significant resources to go after wealthy tax cheats with savvy lawyers and accountants, and the IRS simply doesn’t have those resources after years of Republican attacks. Ensuring wealthy taxpayers pay what they owe shouldn’t be a partisan issue, and this will be a focus with Commissioner Rettig.